A property of systems whose global state is composed of the interleaved execution of independent or partially-independent components. 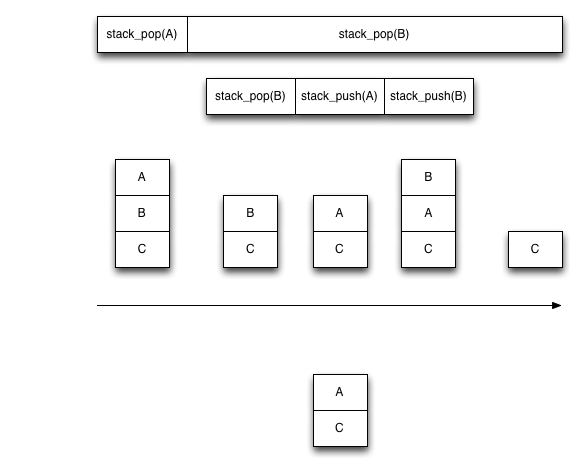 Parallel systems exhibit concurrency but one or more components may execute at the same time. 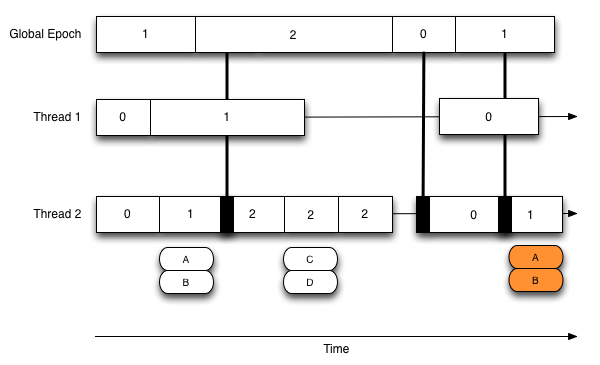 A data structure that is shared by cooperating processes. Concurrent execution of operations may render a data structure in an inconsistent state if special precautions are not taken. A mutex is an object which implements acquire and relinquish operations such that the execution following an acquire operation and up to the relinquish operation is executed in a mutually exclusive manner relative to the object implementing a mutex. A lock provides some form of exclusion guarantees. Locks are susceptible to a unique set of problems. A great number of these problems stem from the fact that locks are not composable. It is possible to implement concurrent data structures without the use of critical sections built on carefully selected atomic operations. 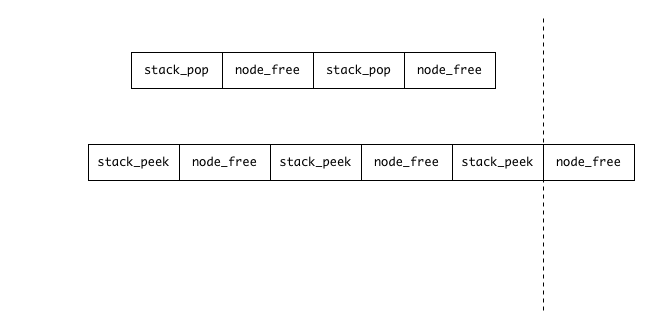 These data structures are called non-blocking data structures. Per-operation progress guarantees. Every operation is guaranteed to complete in a finite number of steps. Per-object progress guarantees. It is guaranteed that some operation will always complete successfully in a finite number of steps. Non-blocking progress guarantee. 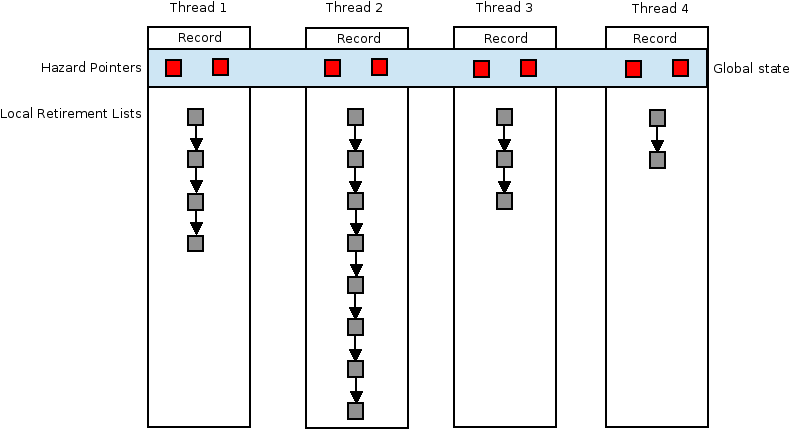 At any point in time, a single thread is guaranteed to make progress if other threads are suspended. Partially completed operations must be abortable. Early systems supported little more than atomic loads and stores. A lot of basic constructs remain to be impractical. Which atomic operations are worth supporting? * The following block of code is executed atomically. * The following blocks of code are executed atomically. A set of processes each start with an input value from some domain D and communicate with each other by applying operations on these shared objects. They must eventually agree on a common input value and halt. A hierarchy exists for atomic operations such that an object lower in the hierarchy cannot implement an object higher in the hierarchy in a wait-free manner. A wait-free implementation of an object with consensus number n can be constructed from any other object with consensus number j where j >= n. The art form comes in constructing a practical implementation. A consistency model that requires that operations appear to been completed atomically at some point in between operation invocation and completion. These points are called linearization points. Counters are a popular mechanism for ABA-prevention by versioning objects that are the target of CAS-based speculation. Unfortunately, counters can be insufficiently wide for platforms that lack a CAS2 operation. Best-case latency of pop implementations as measured by serialized rdtsc. Defines the semantics of memory operation visibility and ordering. Sequential consistency guarantees a total ordering to all operations. 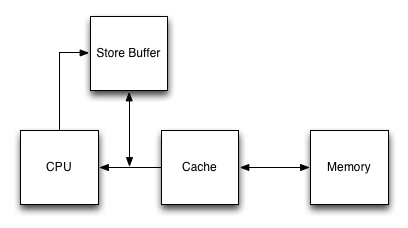 Modern processors with instruction-level parallelism may batch stores in an intermediate store buffer. Loads may also be served from the store buffer. Allows for the eventual and safe destruction of concurrently shared objects. Implementations presented are not suitable for production-use unless noted otherwise. This is really an issue for unmanaged languages such as C or C++. GCs solve this problem for you. 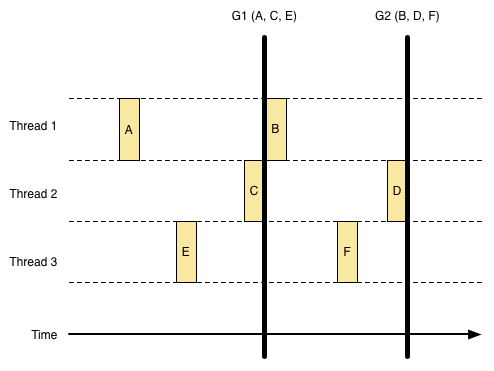 Traditional reference counting schemes do not work for most non-blocking data structures. In-band reference counting is insufficient. Out-of-band reference counting can provide safety. Amortized reference counting scheme that leverages counting of some parent proxy object. Deferred reclamation triggered by the transition across one or more quiescent states (where no shared references are held) by all threads. Deferred reclamation triggered by the transition of a globally observed epoch counter. Requires the use of read-side protected sections. Thread 1 is only entering read sections. Thread 2 is only entering write sections. * any object in the record's pending list. A wait-free safe memory reclamation mechanism that implements tracing-like semantics. Requires modification of non-blocking algorithms. Thanks to the following individuals for providing feedback for this deck and/or helping organize the event.